Every childhood has its special friendships-and though youthful friends may come and go, a favorite doll or stuffed bear can become a lifelong companion. My painting A Trusted Friend celebrates the imagination of childhood which can make even an inanimate object come to life with love. This is my first ever teddy bear painting, and as I worked on it I was reminded of the passion displayed by teddy bear collectors worldwide. 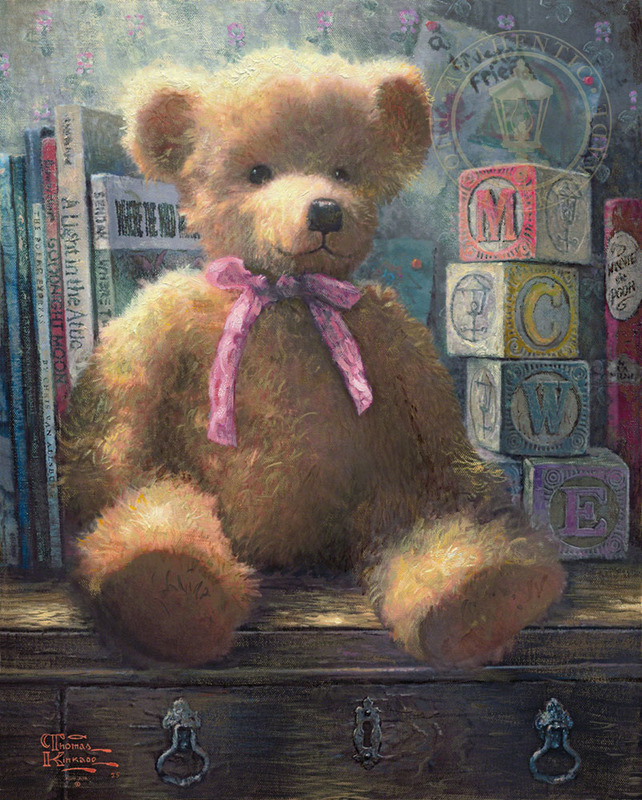 These collectors remind us that even for adults a teddy bear can be A Trusted Friend, and perhaps my painting will be a daily reminder of this happy fact. I even added a special touch: you can have your choice of a pink ribbon for girl bears or a blue one for boy bears. That way, your very own "trusted friend" can be even more personal to you!